This might be a little bit technical to some but don’t worry as I walk you through PPI and its jargons. Moreover, this post is applicable to my readers outside. PPI stands for Payment Protection Insurance. This has been very popular because of the scandal and the kind of financial product it was. You might be acquainted with the word because of the news and more so with the calls you received because it can aid you in saving money. PPI is a kind of insurance that is sold by companies whenever they give you a loan. The loan may be in any form such as unsecured cash loan and even a credit card loan. The principle is but the same. PPI was quite enticing to add up since it can guarantee that you can keep paying the loan regardless of events. For instance, if you end up losing your job or a sudden illness struck, you still won’t be missing those payments. At least you won’t be worrying much on getting it paid. At least not yet. This really sounds enticing and as a matter of fact reasonable. After all, this serves as a payment protection blanket should there be unfortunate events in the future. Yet, in spite of its advantage, this led to a mis-selling scandal and court rulings. And now many people are claiming their share that is running into millions. You might already exclaim the “PPI check by have I got PPI UK”, read on. The thing with PPI, this was sold to individuals who are not even eligible to claim it. There are even reports of other people in which they don’t have full knowledge of the product. Some even claimed they don’t know that it is being sold to them already. PPI was already bundled into the loan. As a form of example, say for instance you went to the bank to avail of a loan. The PPI then is often included in the loan. Sales staffs don’t even explain well the inclusion of the PPI and what is it for. This is what mis-sold is. If you happen to take a loan in your bank in the past, be wary. 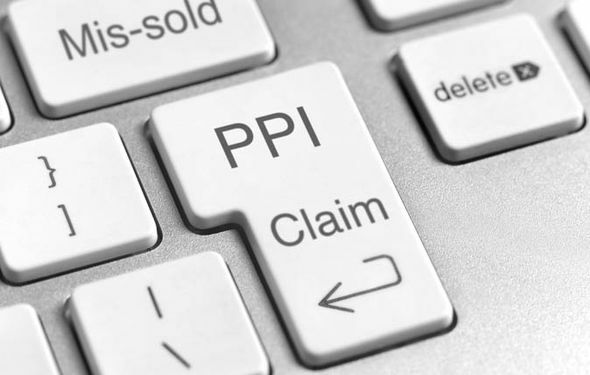 You might not know you got PPI too. To make sure, trace back the conversation with the bank staff. If they happen to mention cover or ensuring loan payments, those are usually the trigger words that you have PPI as well. If you also took out a loan over or before 2012, PPI then was selling. If you can’t remember the conversation, you need not worry. You can always check the original paperwork given to you. If you happen not to have the paperwork at all, you can always request your credit provider for the copy. You can even talk to them directly if they added PPI on it. Some of the paperwork might not spell out directly PPI but you can always catch similar phrases like protection cover or cover. You can follow this procedure in order to reclaim PPI. The first step would be to get the documents. You need to make sure you also take copies of the original loan agreement and other statements you might have. If there were correspondence as well, you can have those as added documents. Second step would be to get in touch with the financial service company who sold you the PPI. You can then go there to begin the refund request. To make the claim easier, there are already letter templates circulating online that you can use for reference. You need not draft another one. The important details are the following that must be included in those letters: reference number of the case, credit reference number, PPI number, when the policy was taken out, the financial product this was bundled and your name and contact details. It is imperative you get to talk this one out with your bank. Not everyone however is entitled to a refund. Bear in mind that PPI is also useful. The ones who are eligible for refunds are the people who where mis-sold with PPI. You need not worry as claiming it now easier.